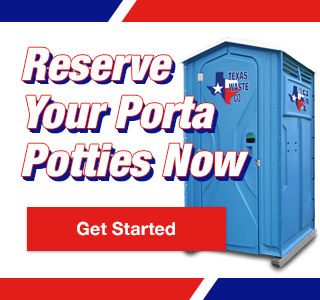 Disaster Relief Porta Potty Rental | Texas Waste Co.
Texas Waste Co. is ready and prepared to meet local, state, and federal sanitation requirements whether they are needed at emergency shelters, first responder stations, emergency medical camps or food service facilities. Our extensive experience includes responding to hurricanes, tornados, floods, oil spills, and plant explosions. We have the ability to quickly move assets into devastated areas, set up a route infrastructure, and provide turnkey waste services with caring employees from our gulf coast operating facilities. Tropical Storms and Hurricanes bring vast flooding, damaging winds, and thereafter massive demand for construction and repair services throughout the Houston area. Workers providing these services should use an experienced restroom company they can count on. Oil spills are unfortunate, but occur frequently with the expansion of oil and gas processing facilities on the gulf. To maintain focus in times of crisis, companies have turned to Texas Waste Co. since 1999 to provide clean portable toilets, hand wash stations and more.